Boy oh boy! A very special bottling here - a 41 year old single malt from a closed distillery that shut its doors back in 1975, having only been founded in 1966! 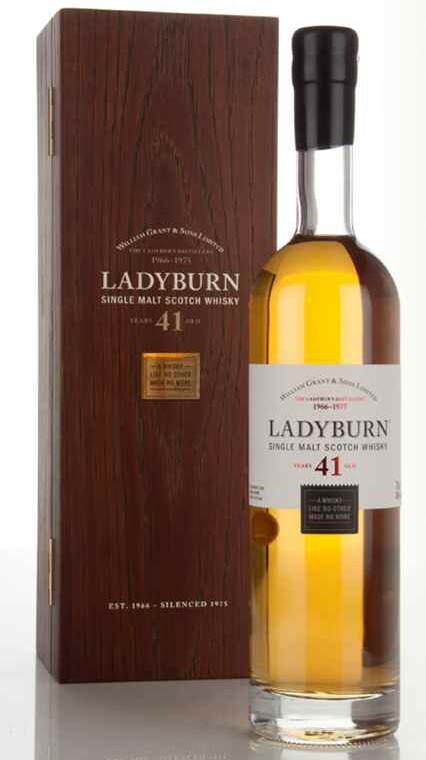 Yes, this is William Grant & Sons 2014 release of Ladyburn. This release is a vatting at 40% of whiskies from the long-closed but certainly not forgotten distillery. As it says on both the box and the bottle: "A whisky like no other. Made no more."